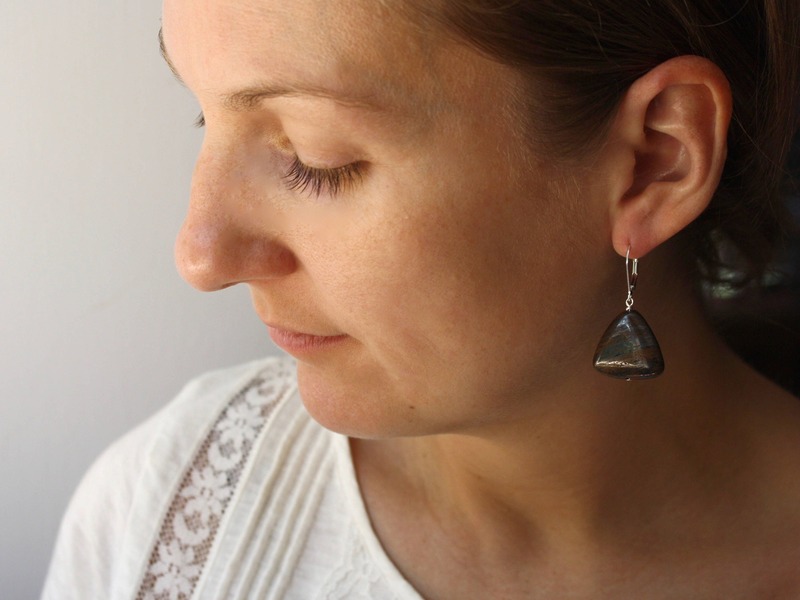 These brown stone earrings feature natural 20mm Tiger Iron triangles wire wrapped in Sterling Silver. These tiger iron earrings measure just about 1 1/2 inches from the bottom of the drop to the top of their Sterling Silver lever back ear wires. 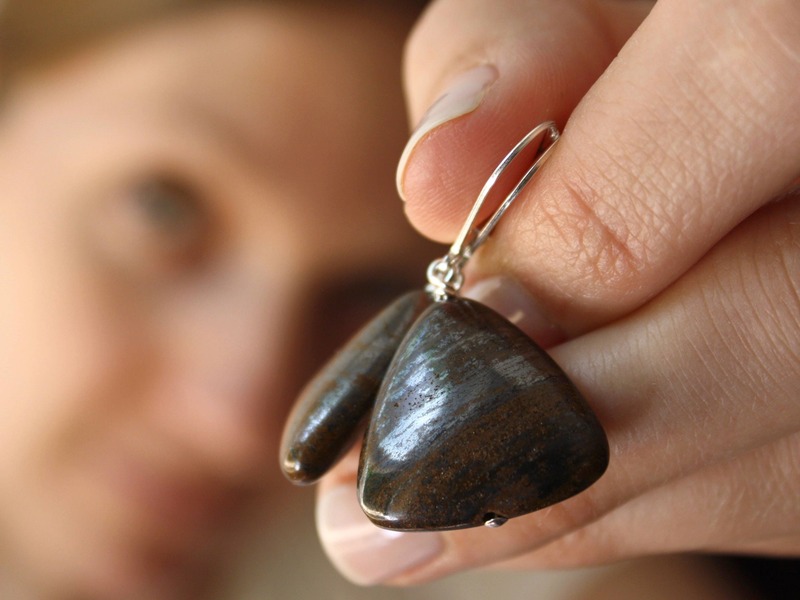 Stone Properties: Tiger Iron (a combination of Tiger Eye, Hematite, and Red Jasper) promotes energy and vitality. 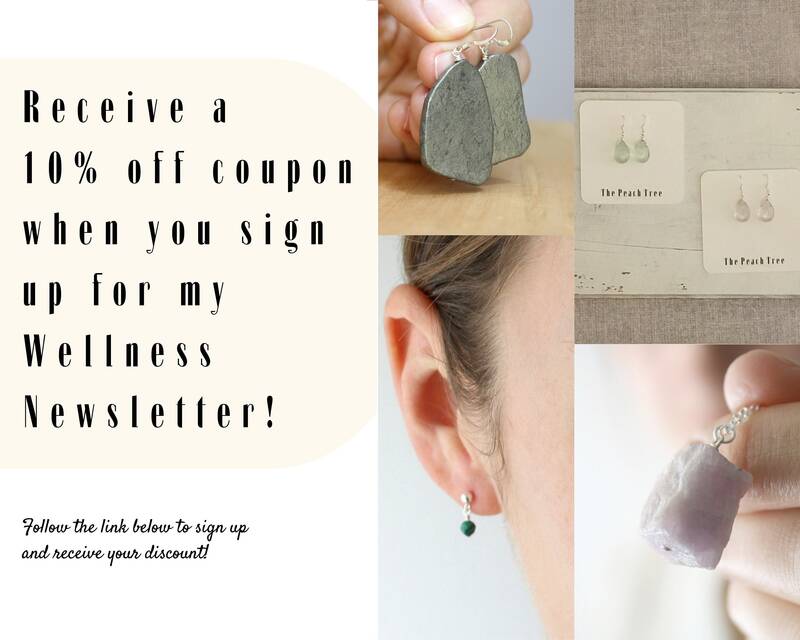 It also gives personal strength in times of change. 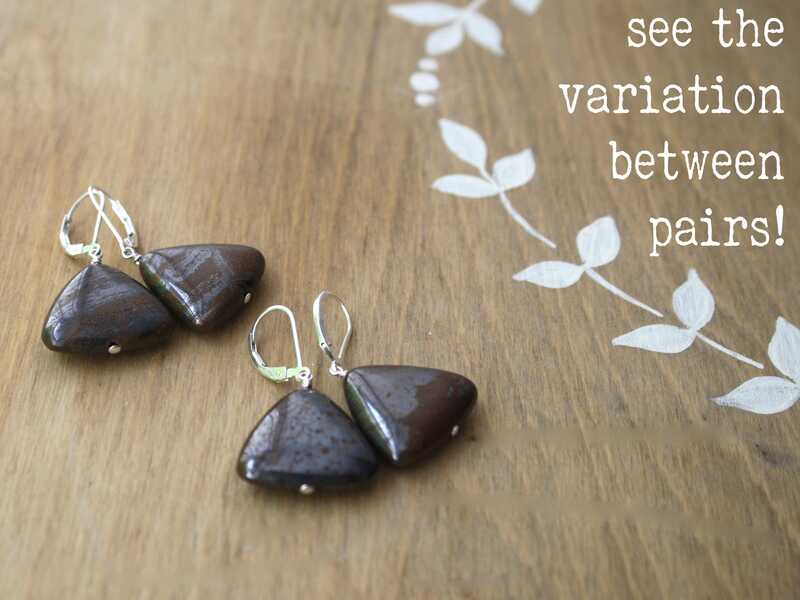 These earrings are unique in design and stone, and go with just about anything in your wardrobe. They are delicious. I can't wait to see what comes next out of the PeachTree.